It’s so easy to assume the worst of others, and the self-righteous anger in that moment can be an addicting high. 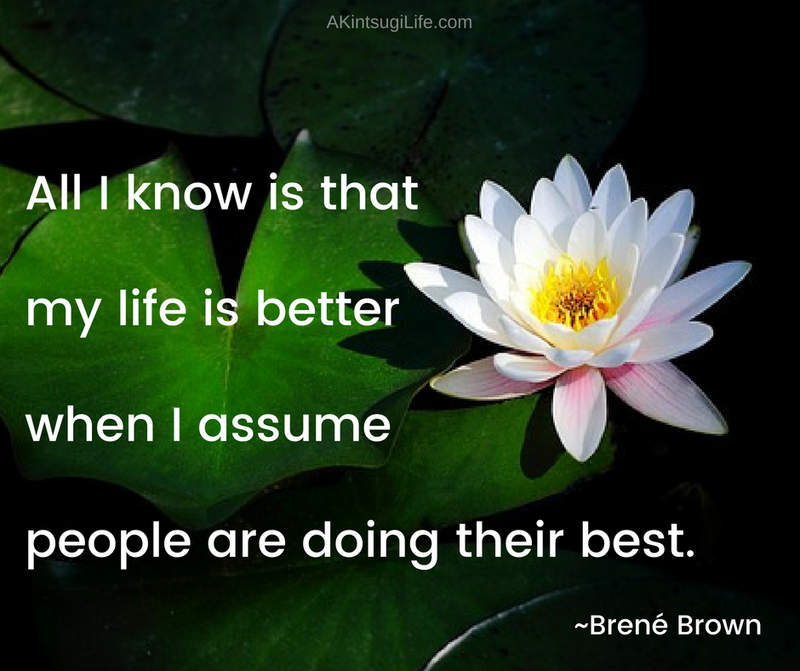 But life is so much better when we assume that others are doing their best and move toward compassion instead when we see that they don’t have the resources to do better. 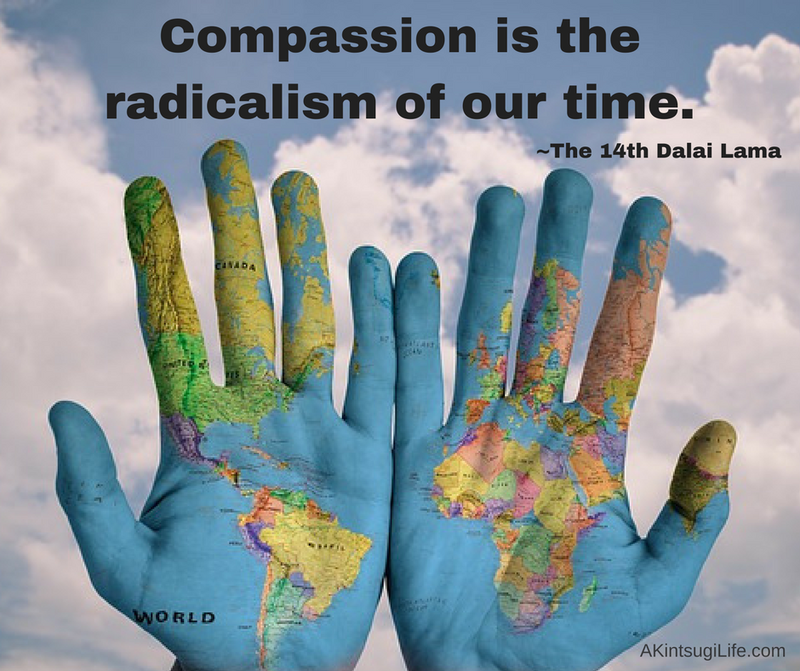 How far does your compassion extend? To yourself? Your loved ones? Other like you? Strangers? Animals? The earth? 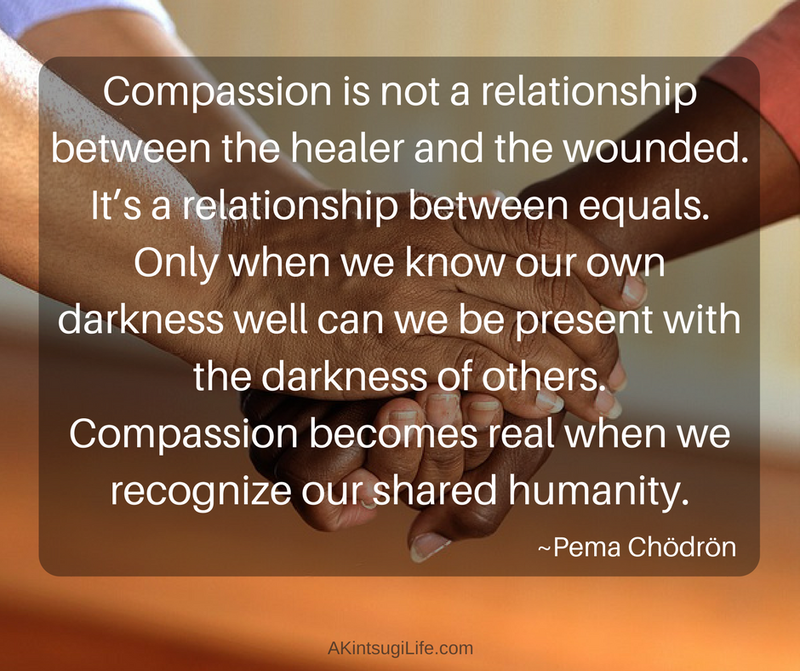 True compassion requires that we be present with all of people, including their darkness, which often shows itself most strongly when they are afraid and in pain. 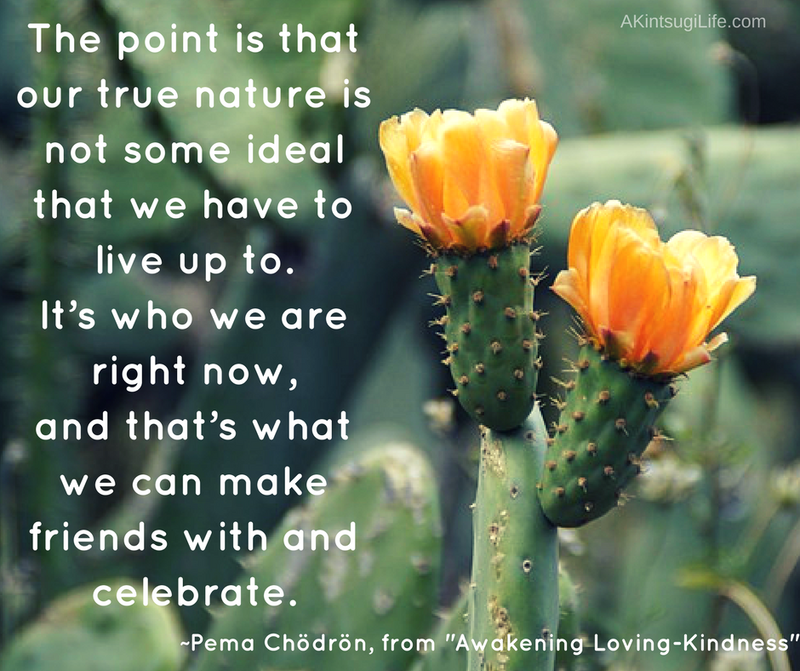 To do that, we must get to know our own darkness and develop compassion for that part of ourselves first. 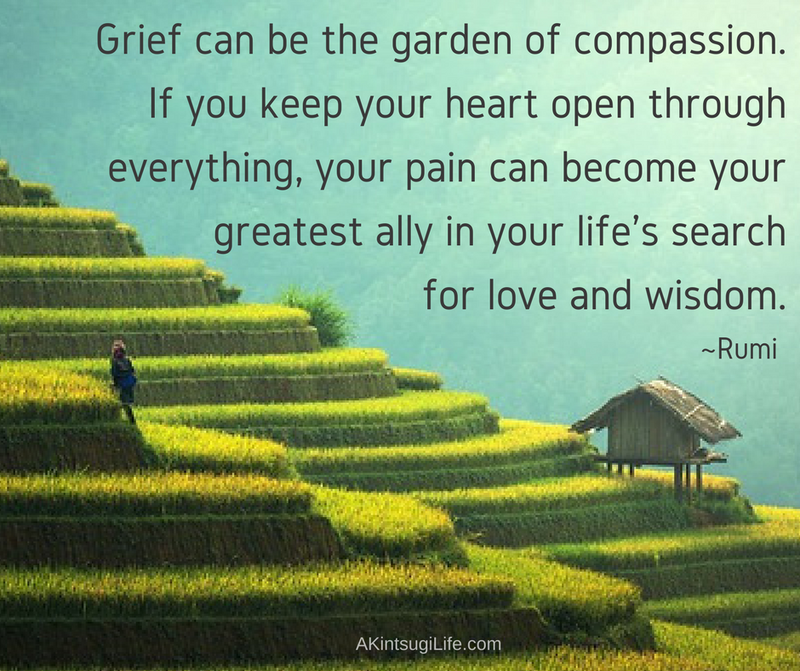 It’s the hardest kind of compassion to develop, but it’s one of the gifts available to us through kintsugi living.